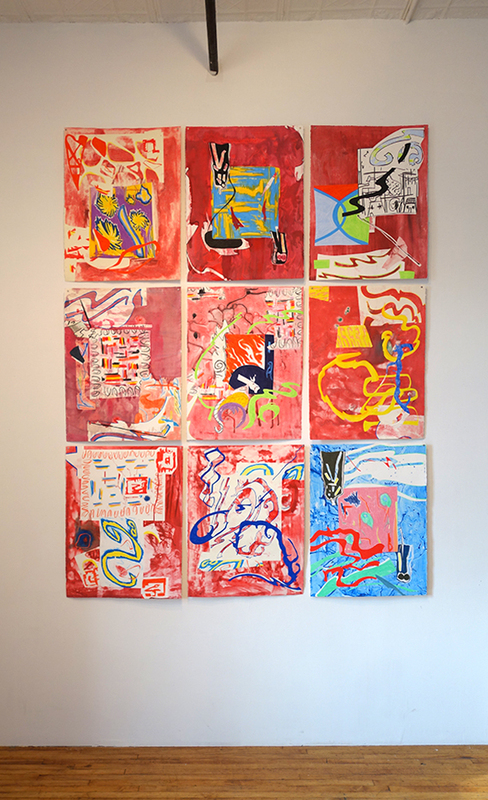 Gigantic Brain features new monoprints and paintings by Sophie Grant and Jan Razauskas. Grant’s monoprints reify a peripheral psychedelia, bringing together sharp-edged saturated forms with soft veils of crayon. Her variously layered marks and shapes offer tender nodes of entry and impenetrable boundaries that vibrate on backgrounds of washy texture. Intricate voids seemingly create works within works, portals into a history of painting and printmaking that emphasises sophisticated play. 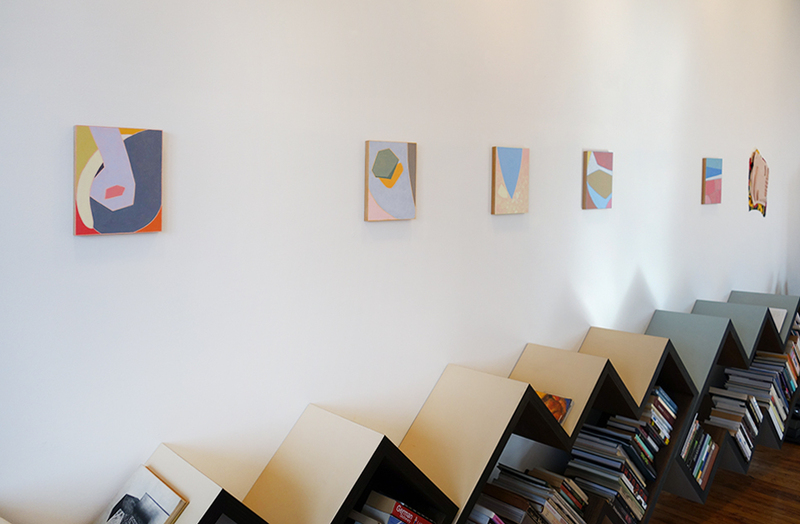 In the paintings by Razauskas, color fields appear to be caught in tectonic shift. In the charged moments where haptic color-forms meticulously overlap, conflict, breed, or barely touch, these tightly choreographed surfaces intimate a longing for making contact. Evolving out of geometric abstraction and non-objective painting, Razauskas propagates a world for sentient forms. Like the “thinking ocean” on the planet Solaris* that is thought to be a gigantic omniscient brain, the color and form in the works included in the exhibition dissect the dichotomous limits of representational and non-representational, human and non-human. Surface tension becomes the lens for seeing entities, otherworldly landscapes, microcosms - a mind and a brain. Through compositional rigor, Grant and Razauskas complicate what we think we see, inviting the viewer to consider the way we perceive the tangled world in which we live.